The 2017 Berlin Marathon begins! My favorite inline skating video blogger, Ricardo Lino, was in Berlin, Germany last weekend to compete in the 2017 Berlin Inline Marathon. 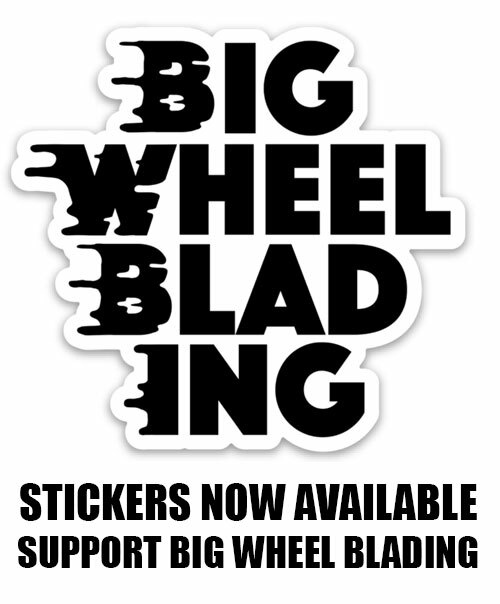 If you had a chance to read his bigwheelblading.com interview, then you would know that he grew up speed skating and long distance skating as child, before spending the past 19 years of his life as an aggressive inline skater doing tricks throughout the urban landscapes of the world. 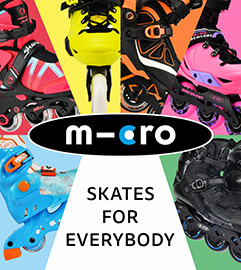 For those of you who are not familiar with Ricardo’s history, he began his skating life on roller skates back in 1982. By 1985 he was competing in races in his hometown of Sines, Portugal. At that point in his life he was competing in any race he could, regardless of the distance. The more he skated and competed in races, he began recognizing how his body was adapting and growing. It wasn’t long before he realized that he was getting better at skating long distances races versus shorter ones. Powerslide was on hand with demo skates to try out at their booth. At 13-years-old Ricardo decided to transition from roller-skating to inline skating and at the same time in 1993 competed in his first marathon. In 1998, after skating his last marathon, he put away his speed skates and gave up competitive speed skating to fully dedicate his life to aggressive inline skating, which was becoming more fun for him. In May, his friend Kevin Chow flew to South Africa for his Honeymoon and went to visit Ricardo at his home. Kevin told Ricardo about his plans to skate in the Berlin Marathon this year. At the time he didn’t think much about it, but after Kevin left and flew back to Barcelona, their conversation about the marathon festered in Ricardo’s head to the point that he realized skating a marathon again sounded like a lot of fun. It also just happened to be that he would be in Barcelona, Spain filming for a project the week before the marathon. The herd skates towards the Berlin Victory Column. Without thinking twice he bought a flight to Berlin to skate in the race. And without thinking for a third time, Mr. Lino ended up in Berlin without being registered to compete in the marathon. With a little luck, a little trickery, and with the help of the right person subscribing to his YouTube channel, Ricardo became Samuel and found himself a spot on the starting line. So 19 years after competing in his first marathon, Ricardo Lino was in Berlin to compete in one once again. The Berlin Inline Marathon is one of the biggest races in the world with roughly 6,000 competitors. There are your elite pro level racers like Bart Swings and Felix Rijhnen who were there to win the 42km race in under an hour. And that is exactly what Bart Swings did, winning the race for the fifth consecutive year in a row. Most people there, however, aren’t there to win, they are there to experience the feeling you get being surrounded by 6,000 other people who love to skate. And then there was Ricardo, who isn’t your typical marathon skater. Maybe he was back 1998, but Ricardo not only loves inline skating, but also loves having as much fun as possible while doing it. Ricardo (on the left) during his live stream of the marathon. The plan was to live stream the whole race to all his YouTube subscribers, friends and family back home. He was well prepared with extra batteries for his phone and a microphone. For 25 minutes he skated the race from pack to pack, talking to people along the way and having the time of his life. He talked about what was happening in the moment and what was going on in his head. The YouTube feed was hooked, and then, the one thing he didn’t expect or prepare for happened, he ran out of data on his phone! Once the feed was cut off, he went back to focusing on what he loves the most, skating and having fun while doing it. Even with doing the live stream, talking to people and not focusing 100% on going as fast as he could, he still completed the race in an impressive 1 hour and 27 minutes. “Freaking Awesome” is how he summed up his experience. And why was it so freaking awesome? Because not only did he have so much fun, but it also reminded him of his days racing as a child. And the packs, he forgot about the packs. It was so much fun for him to relearn how to navigate the course and move from pack to pack. Felix Rijhnen sprinting towards the finish line in the battle of 3rd place. Is he thinking about skating again next year? Ricardo’s answer to this is “Hell yeah!” When he thinks back on the experience from last week and the idea of skating again next year, he gets goose bumps in anticipation. He now has a year to figure out how to do even better next time around. What needs to be done to increase his time, how many people can he convince to come with him, what kind of phone plan does he need to be able to live stream the whole event and what can he do to have even more fun? Because if you know Ricardo he has fun at every event he goes to, and yet, next year he will figure out a way to have even more fun. He hopes to see each and every one of you at the 2018 Berlin Inline Marathon and I for one will be joining him. Bart Swings (BEL) wins it again, with 2nd place going to Patxi Peula (ESP) and 3rd to Felix Rijhnen (GER). In the women’s Elite race first place went to Maira Yaqueline Arias (ARG) , 2nd went to Rocio Berbel Alt (ARG) and Sandrine Tas (BEL) placed 3rd. All photos by Stefan Beyer, except the photos of Ricardo Lino. For more information about the Berlin Inline Marathon visit their website, facebook and instagram.